The U.S. government shutdown has forced Alaska Airlines to postpone its first services into metropolitan Seattle’s Paine Field from February 11 to March 4, the airline said in a statement issued Monday. As the shutdown entered its 33rd day, several groups within the FAA that conduct certification and oversight work needed to establish commercial air service at the airport remain on furlough, forcing Alaska to delay the launch. Alaska said it chose March 4 as the new start date for Paine Field services to allow time for a resolution. At the same time, it did not want the delay to extend too far into the future in the case a sudden resolution came about. In the meantime, Alaska said it would route all services it planned to launch from Paine Field between February 11 and March 4 to Seattle-Tacoma International Airport. 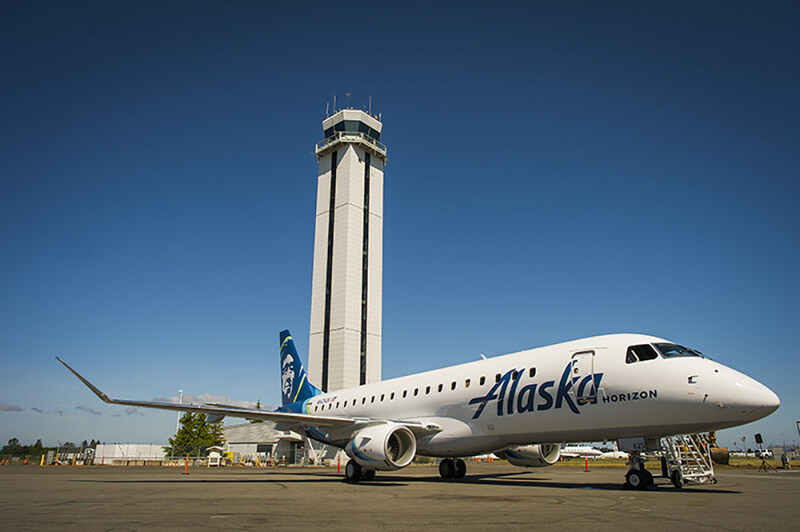 Plans called for Alaska’s regional subsidiary, Horizon Air, to fly Embraer 175 service to and from eight West Coast cities to Paine Field, where late last year Alaska Airlines acquired five additional gate times. Located some 25 miles north of Seattle in Snohomish County, Paine Field has generated controversy for the plans to start commercial service at the facility, which serves primarily as a general aviation airport and as a testing and delivery center for Boeing. Several community groups had resisted commercial service on environmental grounds, while airport supporters pointed to the economic activity scheduled flights into the field would generate. After a contentious fight, in 2012 the FAA concluded that commercial service would not generate significantly more noise and local traffic, leading to the start of construction of a new passenger terminal in June 2017. Soon after Alaska announced its intentions to serve Paine Field, United Airlines followed suit, and last November the Chicago-based major carrier scheduled its first flights from Denver and Chicago to start on March 31. United has yet to comment on the possibility of the government shutdown affecting its planned service launch.